Jay Lefton is a partner at the Toronto, Ontario office of the law firm of Fasken Martineau DuMoulin LLP, specializing in corporate and securities law, including public and private financings, mergers, acquisitions and take-over bids, private equity, strategic alliances, and technology transfer and licensing, with an emphasis on technology and life sciences companies. In addition to serving on the university's Board of Governors, he is on the Board of Directors of the Ontario Genomics Institute as well as the Thunder Bay Regional Health Research Institute. 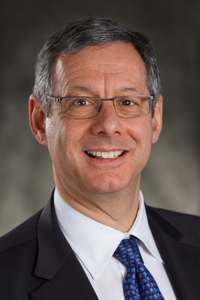 He is formerly the Chair of the Cell Therapy Advisory Board of Toronto's Princess Margaret Hospital and formerly on the boards of ThinkFirst Foundation of Canada, Pathways to Education Canada, the Ontario Neurotrauma Foundation, the Canadian Friends of Hebrew University and the Canadian Friends of the Tel Aviv Foundation. Previously, he was an adjunct faculty member at Osgoode Hall Law School. He has also instructed at the Rotman School of Management at the University of Toronto in Ontario. He was a member of the 2010 and 2016 Ontario Life Sciences trade mission to Israel led by the Premier of Ontario, and was the Chair of the Canadian Organizing Committee for NanoIsrael 2010. He is a past member of the adjudication panel of the Premier’s Catalyst Awards Program, sponsored by the Ontario government. He is a former member of the Board of Directors of the University of Toronto Innovations Foundation, whose mandate was to commercialize technologies developed at the university. He is also a former member of the Toronto Academic Health Sciences Council Subcommittee on Intellectual Property and Technology Transfer, as well as the Biotechnology Council of Ontario, which provided guidance to the Government of Ontario on the development of Ontario's strategy for this sector. Additionally, he chaired a symposium at the Canadian Embassy in Washington, D.C. introducing the Canadian biotechnology industry to the Washington/Maryland/Virginia biotech community. He graduated from the Faculty of Law at the University of Toronto in 1981 and was called to the Ontario Bar in 1983. When he received his Bachelor of Commerce from the University of Toronto in 1978, he also was awarded the John H. Moss Scholarship for the Best All-Around Graduate in the Faculty of Arts & Science at that university.